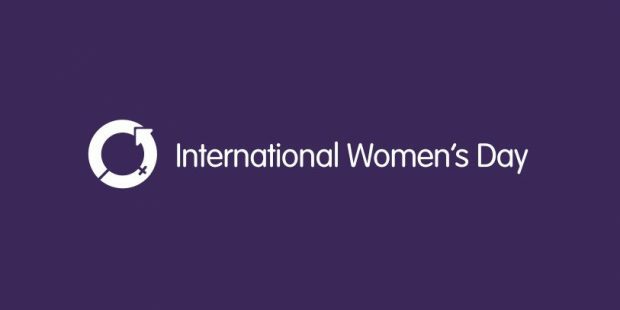 Blog posted by: Kim R, 8 March 2019 – Categories: Diversity and Inclusion, International Women's Day. Here at MOJ Digital & Technology we’re working hard to increase the diversity of our Digital & Technology teams. In my opinion, the pipeline isn’t the (only) problem. There is a richly diverse global community of people working in technology right now. The key to attracting and retaining a diverse workforce, to my mind, hinges on the actions we take to ensure everyone feels included and able to reach their full potential when here. For me a #BalanceforBetter is about culture and opportunity. The environment and culture in which a diverse, gender-balanced workforce can thrive must be a truly inclusive one. Where everyone‘s opinions, ideas and contributions are actively encouraged, equally respected and fairly valued. Sadly, evidence shows that some people are held back and held down when those things aren’t in place. In my view, it is a fundamental part of every manager and leader's role to be vigilant and ensure that everyone feels responsible and accountable for making positive contributions to an inclusive working culture; from the day they join until the day they move on. Focusing only on delivery and on the work itself is far from enough. It doesn't mean we all need to agree all the time, or be less authentically ourselves. It means we need to approach conflict in a healthy and productive way, remain open minded and respectful, communicate clearly and try harder to understand each other. Clearly, there aren’t enough organisations getting this right even now. What impact is this having on career mobility? A truly inclusive culture coupled with opportunity ensures everyone has an equal chance to thrive. But what does this mean and how can we create it? In my experience, the things that please us most tend to reflect us in someway, and we create those conditions both consciously and subconsciously. An unfortunate but inevitable compound effect of this in a homogeneous workforce is that the environment and culture this group creates tends to strongly reflect them to the exclusion of others. When new and dissimilar people are added to the group, the working community becomes more diverse. If we expect everyone to feel included, to be happy and to thrive, the environment and culture must transform to reflect the new and dissimilar people as well. The inclusivity of a workplace is nuanced by the awareness of its workforce of the need for cultural change. If a large number of new people are added to a homogenous group at the same time, as in the case of two companies merging for example, a seismic cultural shift will soon occur. As the new joiners begin introducing changes that reflect them in some way, through sheer weight of numbers, they force the cultural shift to happen. If you've ever been through a merger you'll know this can cause significant challenge for everyone concerned, especially if not managed well. In a typical workplace setting, however, new people tend to be introduced a few at a time, slowly but continuously. This means those already in the group must continually adapt over time in order to authentically welcome and include each new person into the organisation, the department, the team, the work, the conversations, the decisions and the opportunities. The onus is on everyone to remain aware and accountable for making these adjustments that ensure the environment and culture continues to positively resonate and work for everyone in the group as it evolves. This calls for shared values, awareness, flexibility and increased understanding both actively sought and received through proactive communication, constructive feedback and reward & recognition mechanisms. It also requires action from every single person at local team and management level, but crucially also at senior leadership level where policies are defined. We must all be accountable and hold each other to account. This is vitally important if we expect everyone to feel truly included and afforded an equal opportunity to thrive at work and progress in their careers. Values are incredibly important and one of the most effective ways, in my opinion, an organisation can support and help sustain an inclusive culture. Core values act as a mini-framework, clearly indicating the personal qualities one can reasonably expect will be rewarded. It follows then that the organisation must provide easy, low-friction ways for people to be meaningfully rewarded in big and small ways for reflecting these values. At MOJ we have an organisation-wide reward and recognition process that anyone can use to reward an individual or team for doing great work or reflecting our core values. Our formal quarterly performance review process also recognises and supports values-based rewards. In addition to core values, teams often define local value systems, normally but not exclusively as part of a team charter or similar. This is a great way for teams to foster the micro-culture they want to experience and reward at ground level. Proactively anticipating the need to be flexible and being genuinely open to finding creative ways to accommodate people can go a very long way to helping everyone feel included. This means not assuming that everyone can (or should) be in the office on a certain day, arrive for a certain time, stay for an end-of-day meeting, socialise out of hours, or that they (should) feel comfortable with crass jokes, innuendo, choice language, surprise hugs or going to the pub (etc). If you don't know, just ask and respectfully take onboard the response. It also means proactively finding new and better ways to optimise the experience for people who need to join an activity or meeting remotely. This might involve asking everyone to join the meeting online instead of expecting a remote joiner to contribute effectively in a co-located meeting or around a physical whiteboard via someone’s laptop. Get creative, ask people for ideas; find ways to include everyone. We improve communication and relationships when we know each better. I find the social styles model very useful for understanding my personal impact on others. Versatility is challenging and I still get it wrong, but it's vitally important I keep trying. It's also a great tool for explaining your style to increase understanding and better engage with others. For example, I'm naturally tell/ task (driver) but I've learned to flex over the years with varying degrees of success. Sometimes I'll give advance warning if a situation crops up and I know it's going to push me towards strongly exhibiting those characteristics for a bit. An easy way to create a feeling of inclusion & belonging is to make eye contact, smile warmly & say hello to people. Try not to sprint past as you do it; break your gait and put some genuine feeling into it. We can all start doing this right away! At MOJ we’re proactively trying to help people get to know each other better. We're doing this by providing opportunities for people to meet up informally with colleagues outside of their immediate teams, agencies and professions. We’re using the help of a friendly Slackbot who randomly introduces people to each other in pairs every few weeks and encourages them to get a coffee or do a google hangout and chat. So far it’s had great engagement and people are following through with the meetings, which is really nice to see and hear about! Informal lunchtime clubs are another great way to bring people together doing something they enjoy. I have commitments that prevent me socialising out of hours, so I took a chance and tried setting up an informal lunchtime club called Craft Time. I didn't know if anyone would join me, but happily some did! A few of us now meet up every other Tuesday at lunchtime (workload permitting) for a chat and to work away on whatever craft project we each have on the go. I'm doing a tapestry, others knit, crochet, etc. but we could just as easily be playing dominos, discussing books, chatting about sport or whatever‘s new on Netflix. I'd encourage anyone to give this a try. Shining a light on these things when they occur is very important if we want a truly inclusive culture. Equally important is reaching a point of understanding. I always try to assume no malice and best intentions; simply explaining how something may be perceived and the impact it could have is usually gratefully received. I’m always open to talking things through until understanding is reached. I should also make clear that I'm far from perfect and make mistakes too. I also want to be held to account so that I can learn to improve my own awareness and understanding. I'd like to help create an environment where people at all career stages feel comfortable both giving and receiving constructive critical feedback effectively and directly to each other, in a way that increases awareness and improves understanding. It can be incredibly difficult to approach someone to tell them something they did offended or excluded you. Incredibly difficult. However, techniques exist that make this easier to do and manage. I'd like to broaden my own knowledge of these in order to share with and empower others to feel confident using them when needed. Much focus is given to getting more women into tech. I agree that we should make every effort to boost diversity and the number of women in the industry. I’d also like to see equal focus and effort put into defining what needs to be in place to make sure under represented groups, including women, feel included and confident of reaching their full potential. To what degree do the underlying factors that hinder gender-balance impact a woman’s career mobility? I’d like everyone to feel they can move freely and with confidence to advance their careers, knowing they will be included and supported to reach their full potential no matter which company is lucky enough to have them. To help MOJ achieve this, I focus on creating and maintaining a #GreatPlaceToWorkInTech for all.